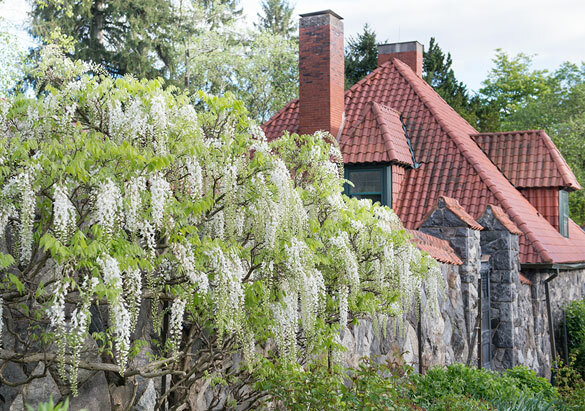 When Frederick Law Olmsted designed Biltmore’s historic gardens, he knew that spring would set the stage for all the glorious seasons to come. Today, our annual Biltmore Blooms celebration offers a timely tribute to Olmsted's springtime birthday. Born April 26, 1822, Olmsted is known as "the father of American landscape architecture," with premiere projects including Central Park in New York City and the grounds of California's Stanford University. 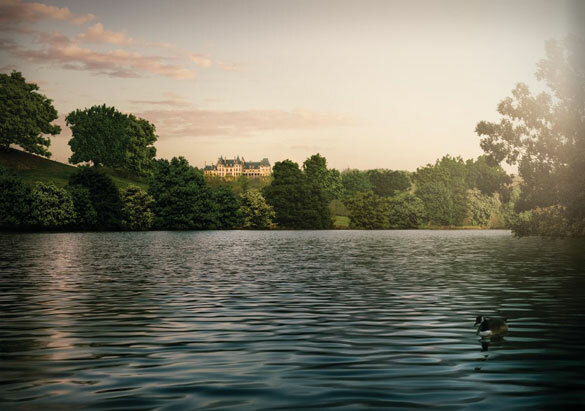 "There are many beautiful American parks and landscapes that reflect Olmsted's genius," said Bill Alexander, Landscape & Forest Historian for Biltmore, "but it's the design for Biltmore that is considered Olmsted's masterpiece." According to Bill, Olmsted had already worked on several Vanderbilt family projects when George Vanderbilt approached him in 1888 for advice on the North Carolina property he’d already purchased. “Now I have brought you here to examine it and tell me if I have been doing anything very foolish,” Vanderbilt reportedly told Olmsted. "Olmsted was frank in his assessment, advising Vanderbilt that the soil seemed to be generally poor, with most of the good trees having been culled already," Bill said. "He noted that the topography was unsuitable for creating the type of park scenery that characterized the English country estates that Vanderbilt admired." Plans for both the house and landscape changed in 1889 when Vanderbilt and architect Richard Morris Hunt toured France together and the scale of Biltmore House and its surrounding gardens expanded. Olmsted wrote that he was nervous, not sure how to “merge stately architectural work with natural or naturalistic landscape work,” but Olmsted biographer Witold Rybczynki says that the landscape architect achieved something completely original at Biltmore: the first combination of French and English landscape designs. "You can see Olmsted's creativity and skill in the transitions between Biltmore's formal and natural gardens, and his use of native plants, small trees and large shrubs, and color and texture year-round," said Bill. Now that Biltmore welcomes 1.4 million guests each year, the historic gardens and grounds must be protected and preserved as carefully as Biltmore House and all other original parts of the estate. "In addition to the impact of so many visitors, the landscape has changed and matured over the past century," said Bill. 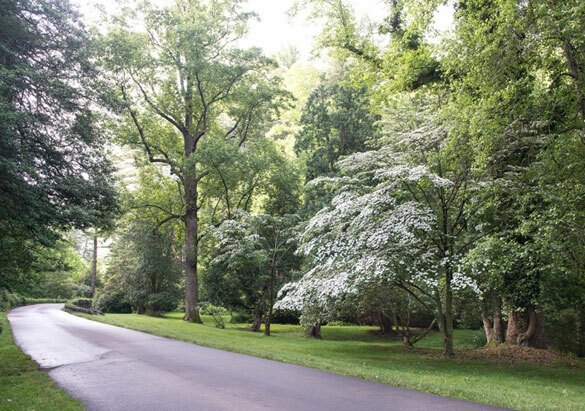 "The challenge for today’s landscaping team lies in determining what Olmsted intended. 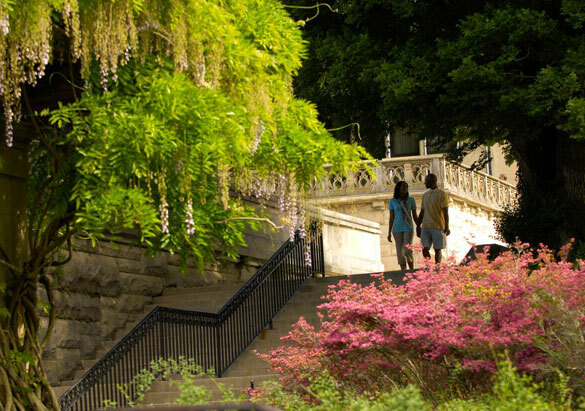 The team uses archival resources such as early plans, original plant lists, letters of correspondence, weekly reports written during the construction of the estate, and information about Olmsted’s design philosophies to help them preserve the landscape style while remaining true to Olmsted's vision." Thank you for this wonderfully informative article! I am truly inspired by Olmsted and his work at Biltmore. I am currently working on a university research project and would love more information about Olmsted's work on the estate grounds. Again, many thanks!